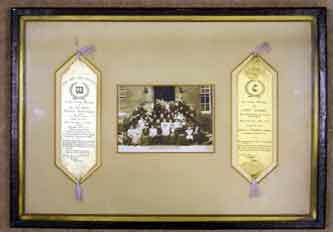 47cm x 33cm framed photograph and 2 silk memorium bookmarks to the Whitfield family. 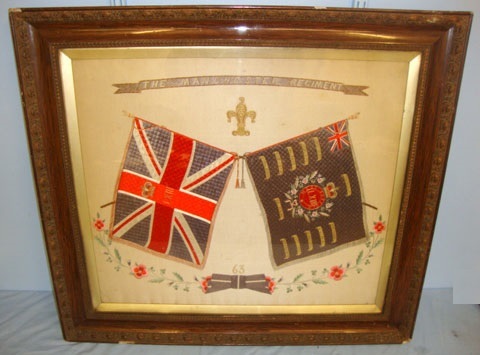 There is a family photograph in the centre and on the left a memorial silk to 16695 Pte. Frank Whitfield, 2nd Border Regt. KIA 25.9.1915 in France aged 19, of 24 Rock st, Openshaw, Manchester. 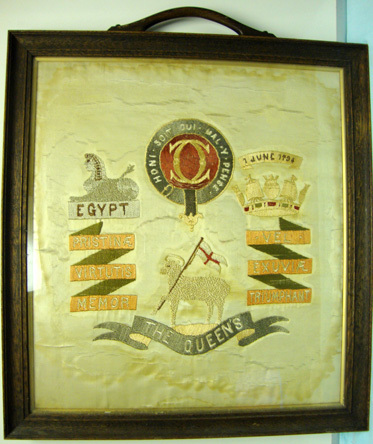 On the right is a memorium silk to Lydia Clarke, the mother of Ellen Whitfield, who died 29.11.1914, of 8 New St. Droylsden. The frame and rear are original and have never been opened.